Behavior problems are the biggest threat to the human-animal bond, and the number-one reason dogs are relinquished. So what’s the key to preventing problems before they start? Debbie Martin, Karen Pryor Academy (KPA) faculty member and ClickerExpo faculty member, says, “Get them while they’re young!” One of the few veterinary technicians in the country to specialize in behavior modification, Debbie has always had an interest in animal behavior. She has dedicated her career to helping pet owners resolve their pets’ behavior problems. 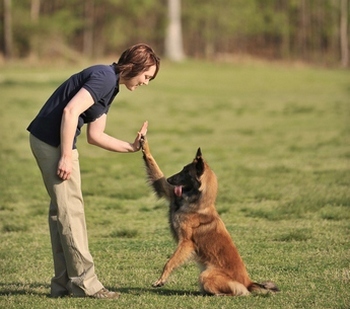 Recognizing that prevention is easier than treatment, Debbie believes that many behavior problems can be averted with early socialization and foundation training. Through her book, Puppy Start Right: Foundation Training for the Companion Dog, and now with her Karen Pryor Academy course, Puppy Start Right for Instructors, Debbie continues to give pet owners, veterinary professionals, and trainers the information and support they need to improve the welfare of dogs—one puppy at a time!